Hire Legal Assistants in the Philippines for a fraction of the cost of hiring back home. STAFFVIRTUAL’s second ever client was a large, nationwide, SSDI law firm in the United States. Fast forward ten years, and our Virtual Paralegals and Legal Assistants have processed over 100,000 SSDI cases for this firm, tripling their monthly case loads. No Legal Process Outsourcing (LPO) provider in the Philippines, or India for that matter, has more experience doing Social Security Disability law. We also work in other practice areas, including BK, PI and Immigration Law. Your firm will experience dramatical cost-savings by outsourcing to the Philippines. Hire Logistics Coordinators in the Philippines for a fraction of the cost of hiring back home. Logistics outsourcing companies in India are quickly losing market share to logistics outsourcing companies in the Philippines such as STAFFVIRTUAL. Why? Because Filipinos have much stronger English and communication skills, and they are highly Westernized. We have logistics clients from the USA, Canada, Australia and The Netherlands. Hire Recruiters and Sourcing Specialists in the Philippines for a fraction of the cost of hiring back home. RPO, or “Recruitment Process Outsourcing”, is when a recruitment or headhunting agency outsources all or part of their recruitment processes to an outside vendor. RPO companies in India are losing market share to RPO companies in the Philippines. By building an offshore component, innovative recruitment professionals are able to dramatically increase the number of successful placements they make. We are particularly good at sourcing candidates in LinkedIn. Hire Content Moderators in the Philippines to make sure your users have a safe, and pleasant experience using your website or app. Outsource online content moderation services to highly skilled Content Moderators in the Philippines at STAFFVIRTUAL. Let us monitor and applying your pre-determined set of rules and guidelines to user-generated submissions, to best determine if the post is permissible or not. We’ll help you make sure the community surrounding your brand is a respectful and enjoyable experience for your valued customers. Finance and accounting outsourcing companies in India are quickly losing ground to finance and accounting outsourcing companies in the Philippines. Hire bookkeepers and accountants in the Philippines to make sure your companies finances are in good standing. There are myriad bookkeeping services that can be deftly outsourced to the Philippines including, but not limited to, invoice generation, tracking accounts receivables, generating accounts receivable reports, tracking accounts payable services, trial balances and generating your profit and loss (P&L) statement. Benefit from better processes, technology, skilled professionals and faster turnaround time. Hire a Data Entry Specialist in the Philippines with STAFFVIRTUAL. We have over ten years experience providing data entry outsourcing services in the Philippines to a wide range of innovative companies around the world. Learn more about outsourcing data entry to the Philippines. Outsource research to the Philippines and give your business a big time competitive edge. 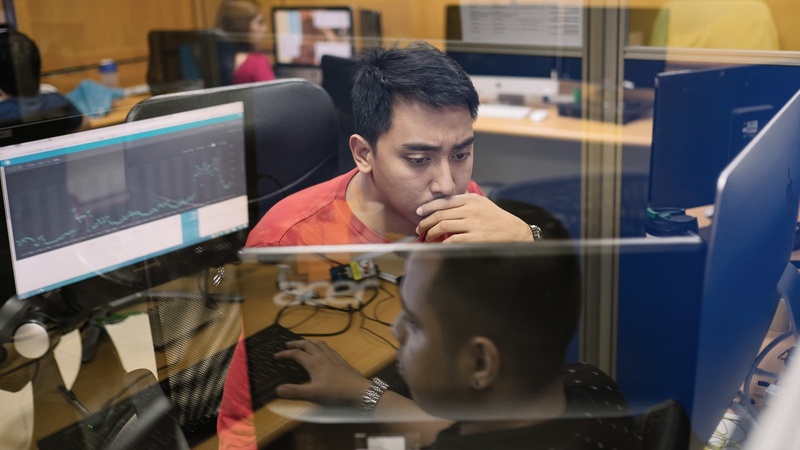 The rise in popularity of outsourcing research functions to the Philippines in the last several years has increasingly included pricing research for e-commerce sites. Before you even begin your research, it’s important to know the types of data you can collect about pricing. Largely, however, it falls down into two categories, your pricing, and your competitor’s pricing. from researching prices on your competitors e-commerce sites, to obtaining new knowledge applicable to your business' unique needs, we can help. By outsourcing research to the Philippines, your company can improve its products, processes, systems, and services, which in turn increases your business' sales and profits. Hire a Virtual Assistant (VA) in the Philippines for a fraction of the cost of hiring back home. Besides the dramatical cost-savings, and huge efficiency improvements, there are many other compelling reasons to hiring Virtual Assistants (VAs) in the Philippines to support your growing business. Outsourcing insurance claims processing to the Philippines has become an integral strategy for the world’s most innovative insurance companies who seek to remain relevant in a competitive global market. The primary drivers of insurance claim outsourcing has always been twofold, cost-savings and enhanced access to strategic domain expertise. Outsourcing claims processing to the Philippines also helps insurance companies deliver a better experience to their customers. The goal of insurance claims outsourcing is not to replace in-house employees, but to maximize the productivity of existing staff. When a company outsources, they are able to focus on their core expertise. Hire Legal Assistant in the Philippines for a fraction of the cost of hiring back home. STAFFVIRTUAL’s second ever client was a large, nationwide, SSDI law firm in the United States. Fast forward ten years, and our Virtual Paralegals and Legal Assistants have processed over 100,000 SSDI cases for this firm, tripling their monthly case loads. No Legal Process Outsourcing (LPO) provider in the Philippines, or India for that matter, has more experience doing Social Security Disability law. We also work in other practice areas, including BK, PI and Immigration Law. Your firm will experience dramatical cost-savings by outsourcing to the Philippines. Hire Logistics Coordinators in the Philippines for a fraction of the cost of hiring back home. Logistics outsourcing companies in India are quickly losing market share to logistics outsourcing companies in the Philippines such as STAFFVIRTUAL. Why? Because Filipinos have much stronger English and communication skills, and they are highly Westernized, and they are a pleasure to work with. We have logistics clients from the USA, Canada, Australia and the Netherlands. Hire Recruiters and Sourcing Specialists in the Philippines for a fraction of the cost of hiring back home. RPO, or “Recruitment Process Outsourcing”, is when a recruitment or headhunting agency outsources all or part of their recruitment processes to an outside vendor. RPO companies in India are losing market share to RPO companies in the Philippines. By building an offshore component, innovative recruitment professionals are able to dramatically increase the amount of candidates in their recruitment funnel and the number of successful placements they make. We are particularly good at sourcing candidates in LinkedIn, while working with your existing ATS. Outsource research to the Philippines and give your business a big time competitive edge. The rise in popularity of outsourcing research functions to the Philippines in the last several years has increasingly included pricing research for e-commerce sites. Before you even begin your research, it’s important to know the types of data you can collect about pricing. Largely, however, it falls down into two categories, your pricing, and your competitor’s pricing from researching prices on your competitors e-commerce sites, to obtaining new knowledge applicable to your business' unique needs, we can help. By outsourcing research to the Philippines, your company can improve its products, processes, systems, and services, which in turn increases your business' sales and profits. Hire a Virtual Assistant (VA) in the Philippines for a fraction of the cost of hiring back home. Besides the dramatical cost-savings, there are many advantages of hiring Virtual Assistants (VAs) in the Philippines. VA's are more generalists, and can wear a lot of hats. From scheduling appointments, to lead generation, to lead response handling, a VA can help you become higher performing. Outsourcing insurance claims processing to the Philippines has become an integral strategy for the world’s most innovative insurance companies who seek to remain relevant in a competitive global market. The primary drivers of insurance claim outsourcing has always been twofold, cost-savings and enhanced access to strategic domain expertise. Outsourcing claims processing to the Philippines also helps insurance companies deliver a better experience to their customers. The goal of insurance claims outsourcing is not to replace in-house employees, but to maximize the productivity of existing staff. Like Gary Vaynerchuck says “Every single company out there, whether they know it or not, is a media company, in addition to the business or product that they specialize in”. Outsourcing blogging and writing to the Philippines is a major growth hack, that will drive tons of traffic to your site, and establish your brand as a leader in their industry. No matter what type of business you have, you're on a mission to create great original content, and share it with the world. Cranking out amazing content regularly, and keeping up with the social media landscape, is not easy. It can be overwhelming to many SMBs! That’s where STAFFVIRTUAL comes in! Let us be your content marketing team and we'll make writing and blogging your strength - not your weakness. Outsource graphic design projects to the Philippines with STAFFVIRTUAL. Graphic design outsourcing to the Philippines makes sense if you need to produce quality infographics, landing pages, presentations, slideshow, pitch decks and interactive designs. Let us build a dedicated team of outsourced Graphic Designers, for a fraction of the cost of hiring a marketing agency back home. We’ll take your old designs and brand, turn them inside out, and take them to a whole new level. Content marketing is massive, and quickly becoming the go-to way to market your brand online. If you really want to drive a lot of traffic to your website, your content production has to be massive, and a well-oiled machine. You most likely are on STAFFVIRTUAL’s website now because of content marketing. We are beating some of the biggest outsourcing companies in the world at SEO, using content marketing. We are bonafide experts at Content Marketing. The huge amounts of traffic we get to our website every month speaks for itself. Think social media posts, blog posts, email marketing content, website landing pages, and so much more! How is one person, or business owner supposed to create all that content? What is the difference between a “Graphic Designer” and a “Multimedia Artist”? Although both take creative talents, Multimedia Artists, or Multimedia Designers, typically work with animation and motion graphics, such as for web, power point, and flash presentations. Graphic Designers tend to lean toward print and agency work for ads, packaging, and informational design for static / still work, used mostly for print. The Philippines graduates thousands of highly qualified Multimedia Artists every year. Outsource your Multimedia workflow to the Philippines. We’ll help you take your marketing collaterals to the next, next level! Even if you yourself are a highly skilled WordPress developer, there are times when you’re better off focusing on your core strengths, and outsourcing some of the development work to us. Hiring a freelancer is the most risky strategy, and its super hit or miss. If you outsource your WP development efforts to a leading WordPress development company in the Philippines, such as STAFFVIRTUAL, you’ll reap huge rewards, and further improve your online profile. However, if you go in the wrong direction, and choose the wrong freelancer, which is easy to do, you could end up with a gigantic mess on your hands. Remember that the biggest reflection of your brand is your website, so you want to make certain that the quality of your digital efforts leaves people with a good impression. Content marketing is massive, and quickly becoming the go-to way to market your brand online. If you really want to drive a lot of traffic to your website, your content production has to be massive, and a well-oiled machine. You most likely are on STAFFVIRTUAL’s website now because of content marketing. We are beating some of the biggest outsourcing companies in the world at SEO, using content marketing. We are bonafide experts at Content Marketing. The huge amounts of traffic we get to our website every month speak for itself. Think social media posts, blog posts, email marketing content, website landing pages, and so much more! How is one person, or business owner supposed to create all that content? You've Built the Engine. We've got the Fuel! Outsource your company's non-customer facing, Back-Office processes to STAFFVIRTUAL. We are currently managing over 30 different Back-Office Administrative and Creative processes for our Clients. Through continuous performance measurement and on-going training, we consistently outperform internal teams. While your customers rarely see your company’s Back-Office operations, what happens there has a huge impact on how satisfied they are with your services. Book a free consultation with the back-office outsourcing experts at STAFFVIRTUAL to learn more. What Back-Office processes can you outsource to the Philippines? Let us handle your repetitive, time-consuming back-office and administrative tasks with military-grade precision. Your Back-Office is on auto-pilot with us. We make it easy for companies to quickly build a powerful Back-Office team in Philippines. Click "Outsourcing Calculator" to instantly receive a monthly cost estimate for your Back-Office team in the Philippines. The biggest driver of outsourcing has always been cost-savings. Partner with us to build a back-office dream team to drastically reduce your cost of labor. Besides the tremendous cost-savings, reducing management headaches is the second most common reason people outsource their back office. We are all slammed, and there never seems to be enough hours in the day. Outsource to get more work-life balance. Spend more time with your family and doing what you love. Quickly scale the size of your team. Build a team doing the same process, or hire staff with vastly different skill sets. Building a back-office dream team means you have more access to talent that was not available back home, usually at a fraction of the cost. Give your company a fresh set of eyes, which can encourage innovation and other positive changes for your business. With an offshore back-office team you are able to operate your business around the clock. Our offices never close. Outsource to reduce your liability and risks associated with hiring in-house employees in your hometown. Eliminate risks even though your workforce is getting bigger. With outsourcing you won’t have to pay for your healthcare costs. It is all covered in your one low monthly price we charge. Outsourcing busy work allows you more time to focus on your 80/20. What is the thing you are best at, and only you can do? Do more of that! We have extensive experience using the world’s leading cloud-based solutions to drive errors out of workflows and radically improve processes. With the right technology and trained team in place, you’re ready to scale faster than ever before.